High value film producers must maintain production and quality 24/7. Only through a robust, simple inspection system can these objectives be achieved. 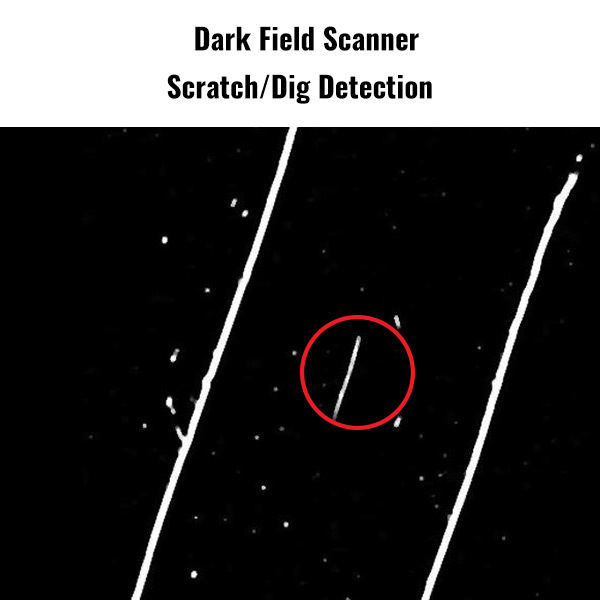 Dark Field Technologies is pushing the envelope again with a new, patent-pending inspection technology, which combines the best elements of laser scanners and camera systems in a low cost, high resolution system. 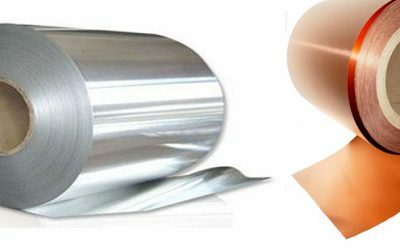 Copper and aluminum foils must be defect-free. 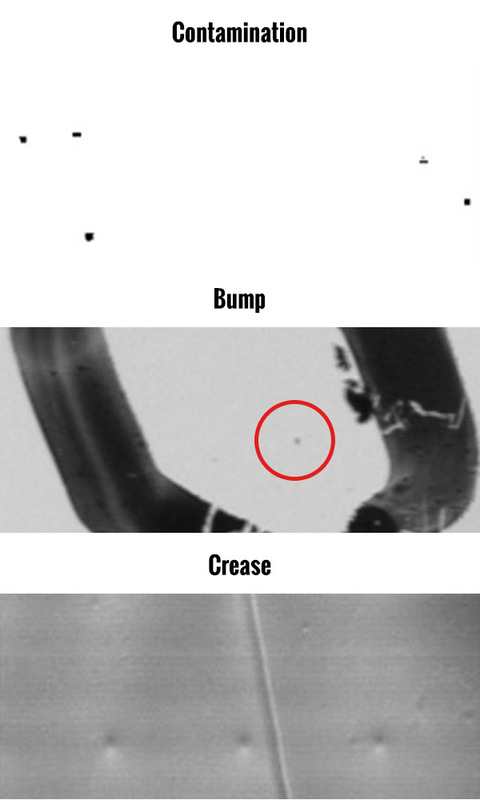 Bumps, dents and pinholes should not be processed into batteries. Manual inspection is time consuming, expensive, subjective and inexact; critical defects cannot be reliably detected, manually. 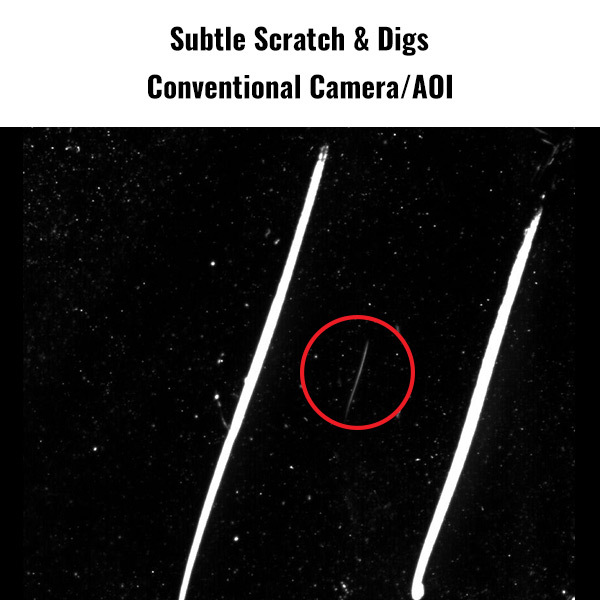 Conventional camera technologies do not deliver consistent bump/dent/scratch detection. 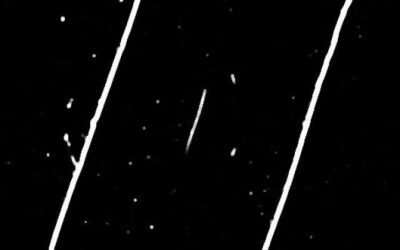 The reflective nature of the foils cause these systems to miss defects and generate false hits. These systems require constant tuning and checking. 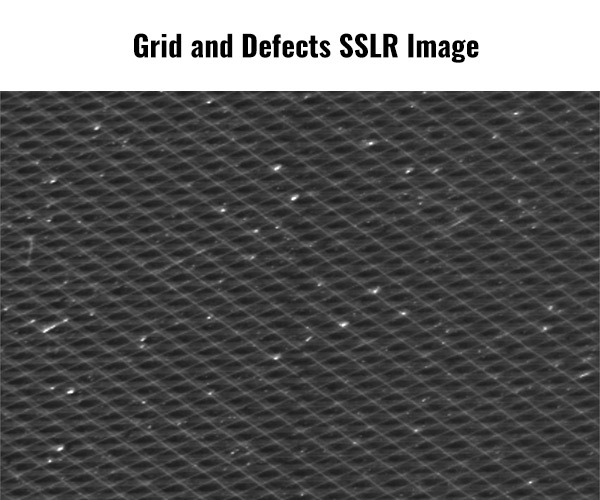 Solid State Laser Reflection (SSLR) scanners deliver the highest resolution in the industry (1μm); darkfield and brightfield scanner designs. 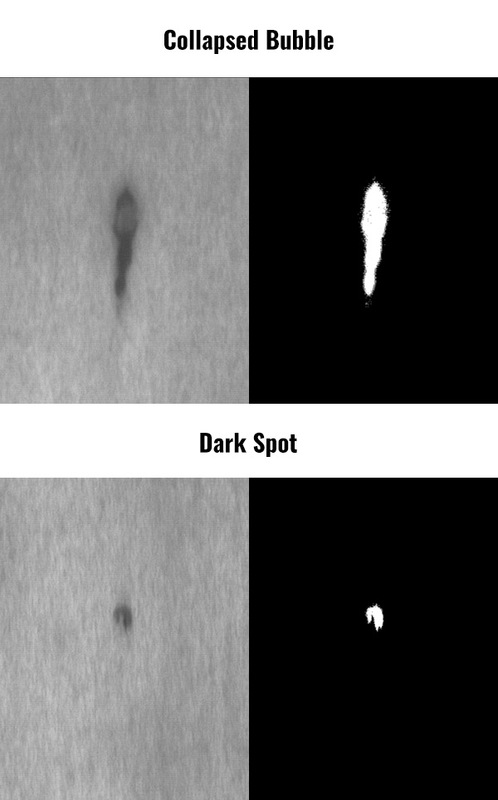 Special technology for reflective foils delivers extraordinary defect detection of all critical defects. 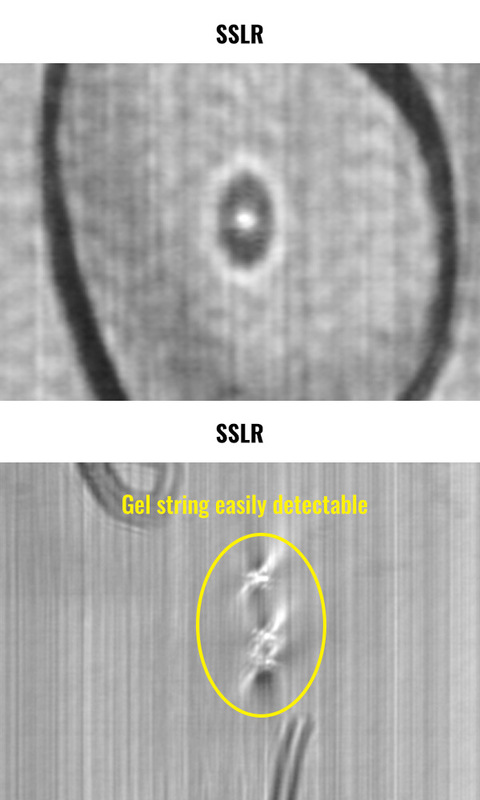 SSLR scanners solve all the problems associated with conventional camera and laser systems. Systems are self-aligning. 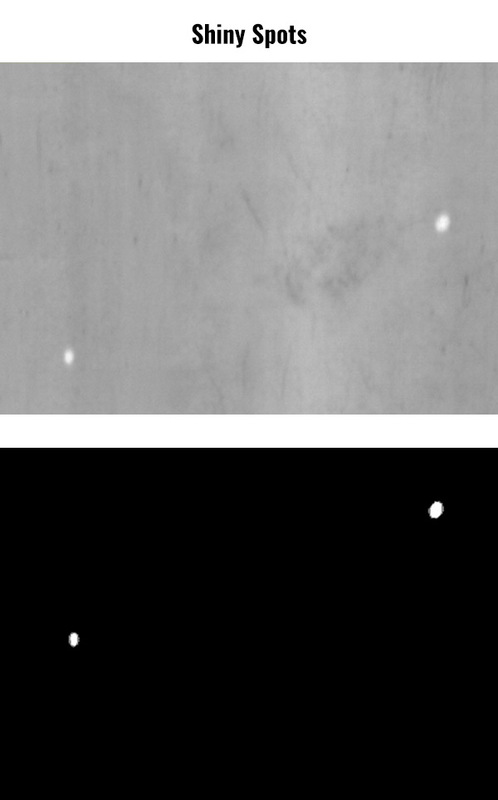 No more false hits or missed defects due to misalignment of the camera and light source. Installation space often very tight. 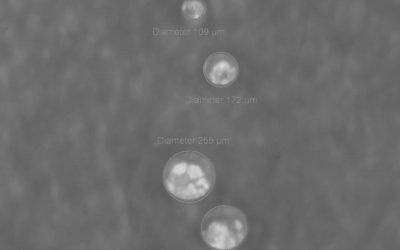 Precise point measurements required, not large area measurements. 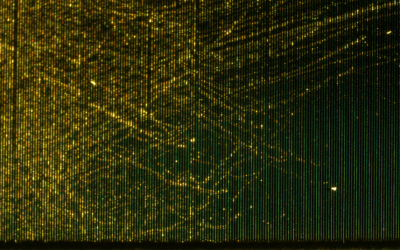 Laser scanner(s) traverse the web. 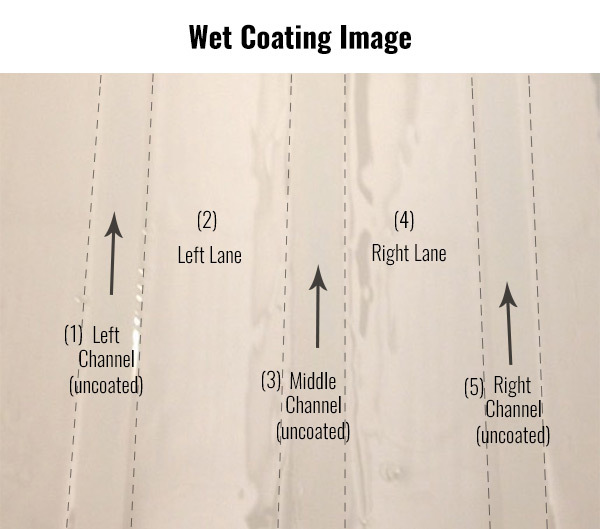 Wet and dry coating measurements. 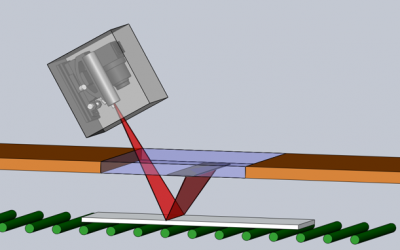 Very compact scanner – traversing scanner and support structure is only 4” wide (machine direction measurement). 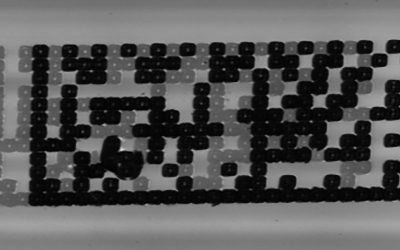 High precision coating profile: 1,000 measurements per second. Extremely high value-added; many unit operations. Glass can be any shape. 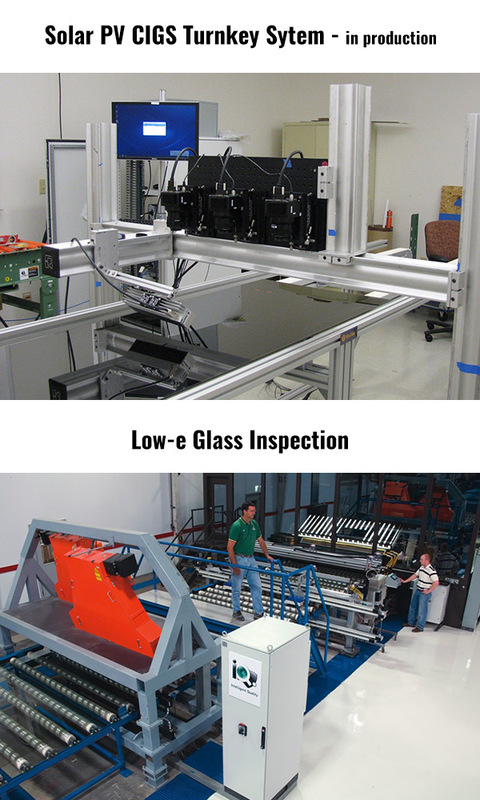 No objective way to manually detect killer defects on the production line – glass volumes are too great. Must sort glass after each operation; pass, reject or rework. 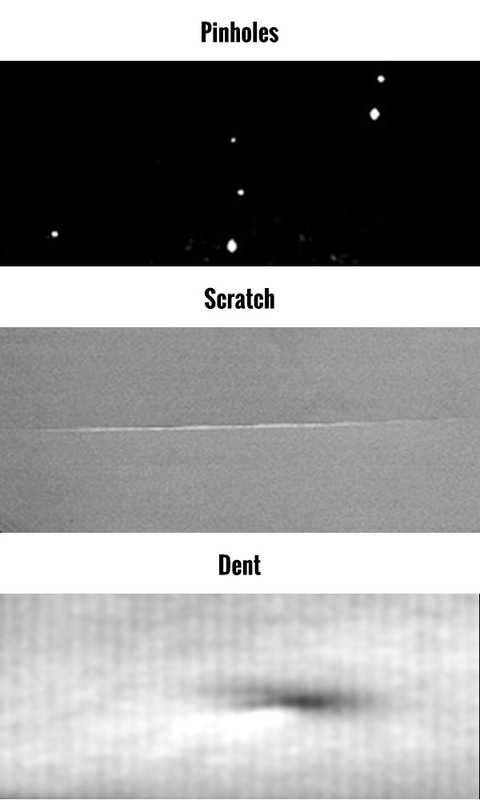 Rework is possible – polish out scratches. Missed defects can result in down stream rejects after adding many $1,000s to the glass. Must sort incoming glass to reject open bubbles; small closed bubbles are acceptable. 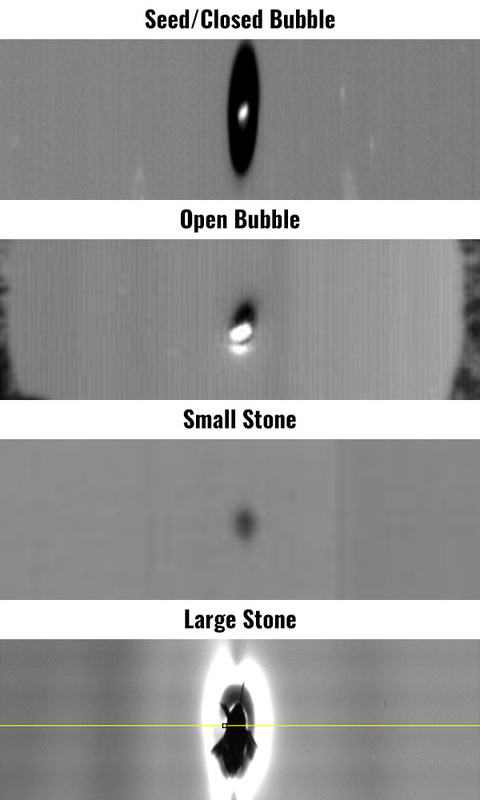 Special optics detect and classify open and closed bubbles, scratches, digs, contaminants and internal glass defects. 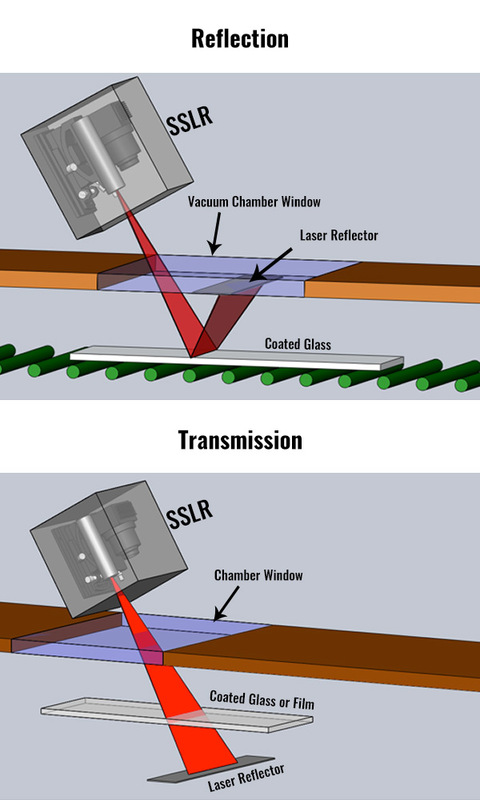 Solid State Laser Reflection (SSLR) technology modified for the application; self-aligning optics. 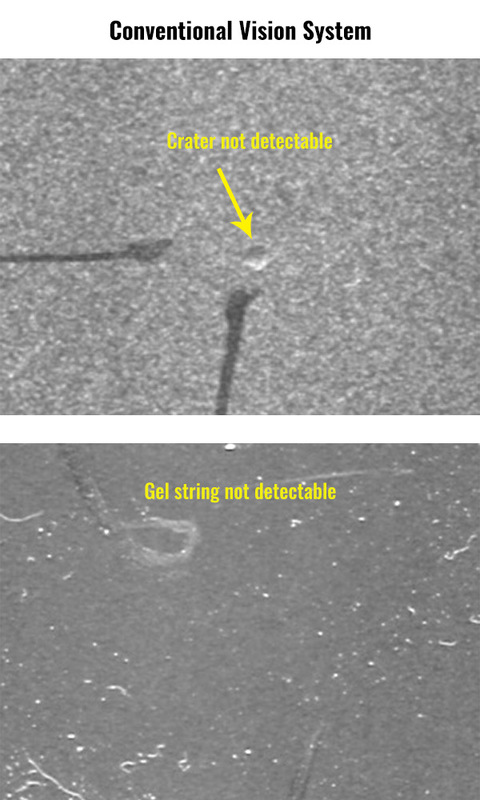 Special software detects defects in any shape part without any programming or recipe input. 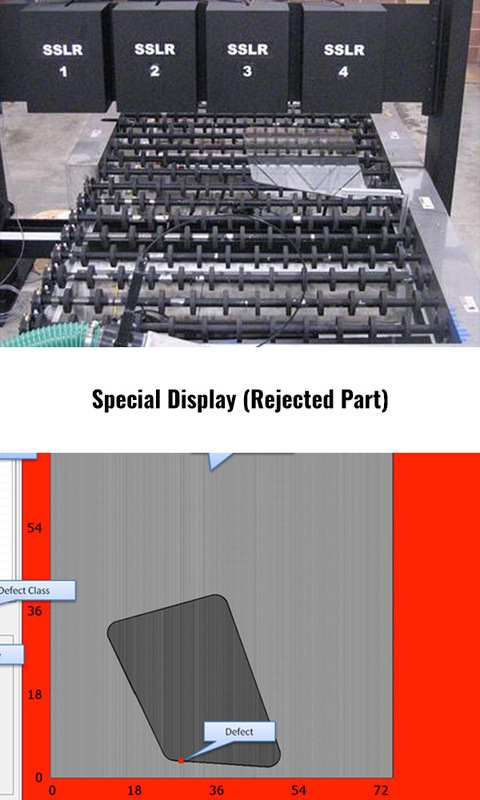 Large monitor over the line allows the operator to easily pinpoint the defect location if verification is required. SQL database stores all defect information; custom reports/trends created for each installation. 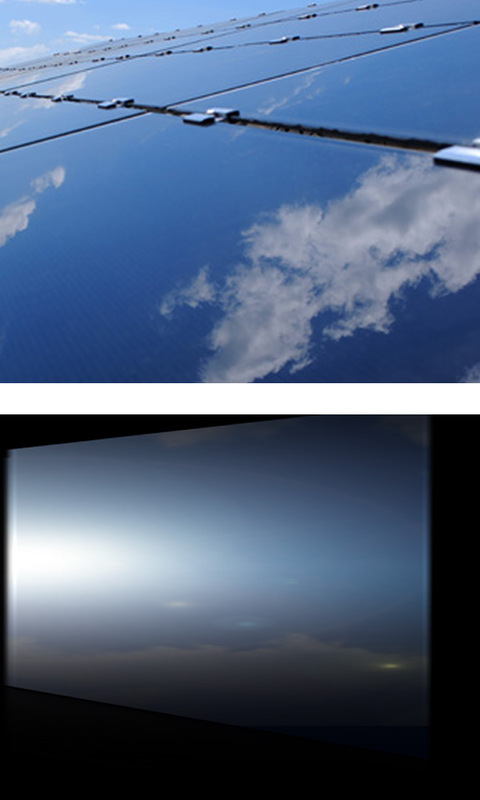 The first surface of the glass may be the only surface of interest in a coating operation. 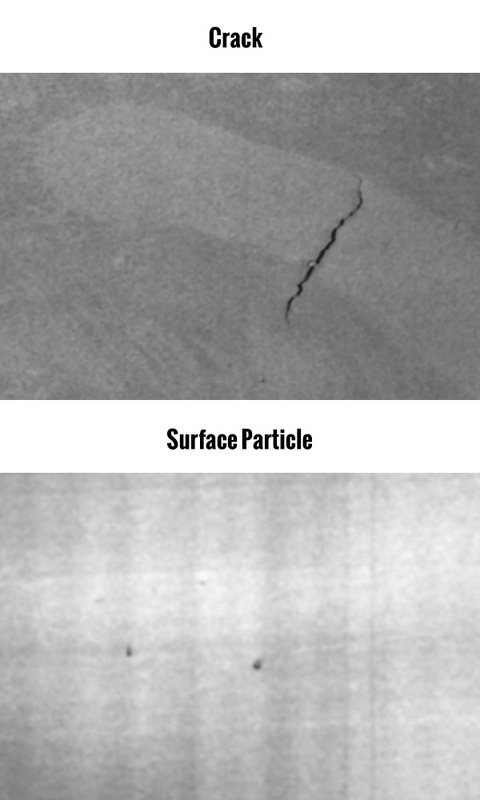 Inspection systems should not report particles, stains, top tin and other defects on the second surface. 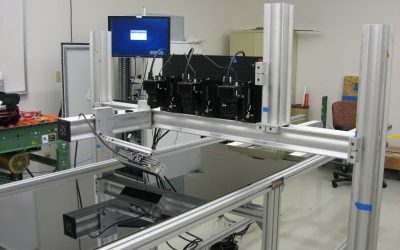 Special SSLR scanner designed to inspect ONLY the first surface. 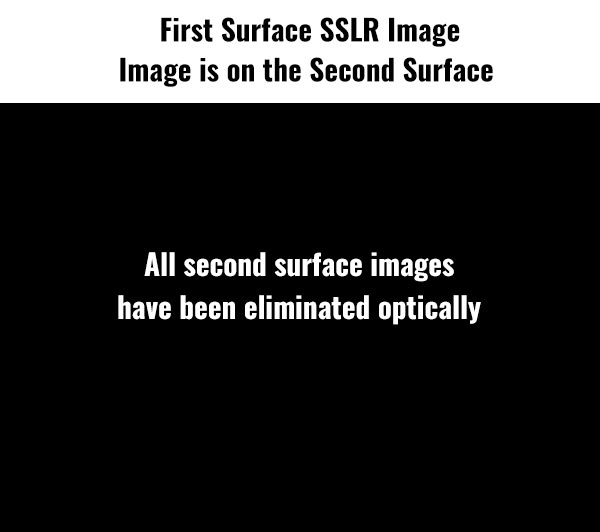 Second surface is optically ignored. 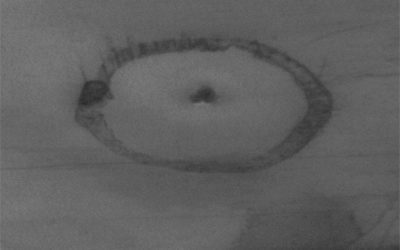 Inspection results show only first surface defects. Conventional haze measurement is on off-line operation; small samples, statistical, long time for feedback. 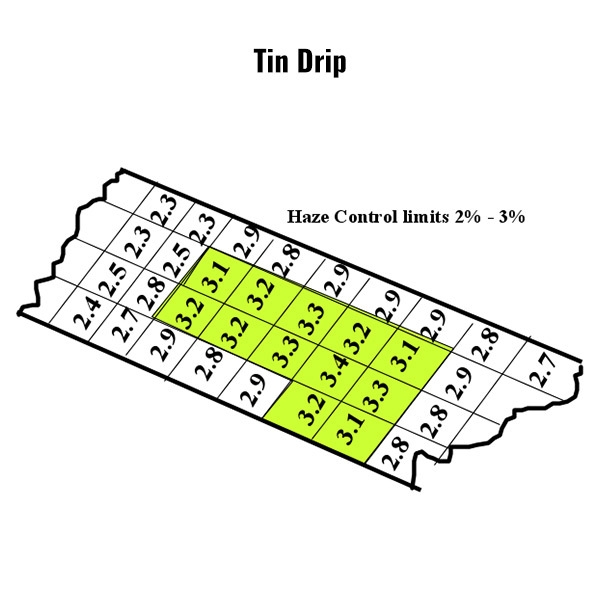 Film and glass production need 100% on-line immediate haze mapping and measurement. 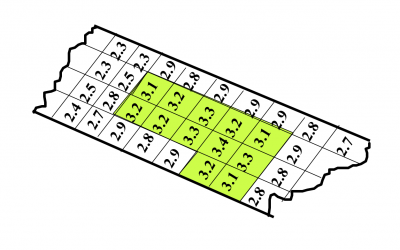 Identify areas of the web or sheet which are outside control limits. Special SSLR technology provides 100% on-line, real-time haze measurement. Haze results correlate to Gardner Haze Gard Plus instrument and ASTM Haze Measurement standard #D1003. Warning and reject levels. Real time alerts, alarms, marking. Data saved in XML and SQL database files. 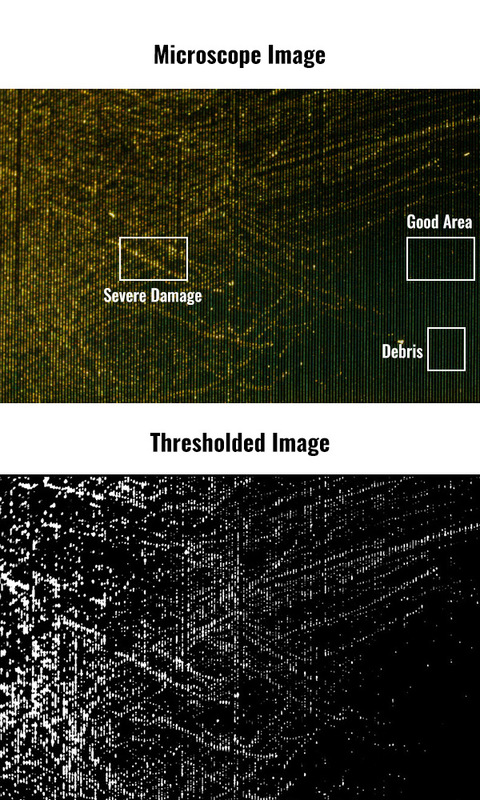 Integrated with defect detection results; single window operation. 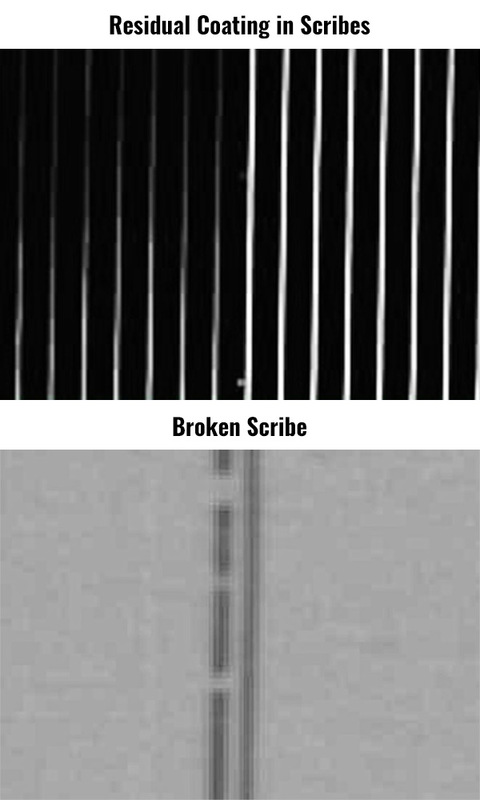 Transient defects must be detected in a vast array of high-end products: Electronic readers, Smart Phones/Pads, Smart Windows, etc. 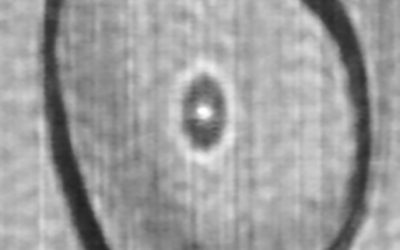 Transient defects are only visible during a color or state change; they can disappear quickly. 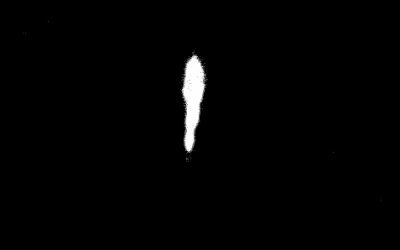 Transient defects will cause the final assembly to be rejected; they must be captured prior to assembly. 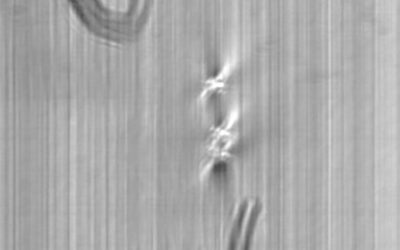 On-line technologies did not exist to detect transient defects on a production line. 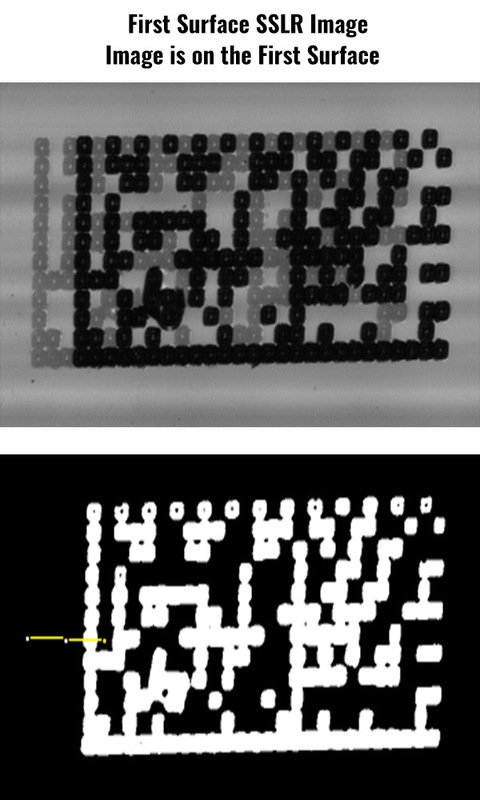 Special optics and hardware processing modules make detection of transient defects simple and robust at line speeds over 30m/min. 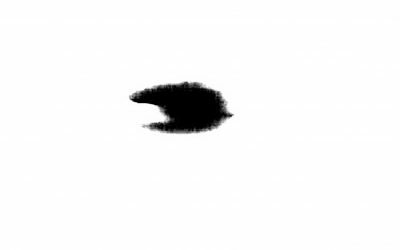 On-line Scratch and Sleek detection can be extremely difficult. 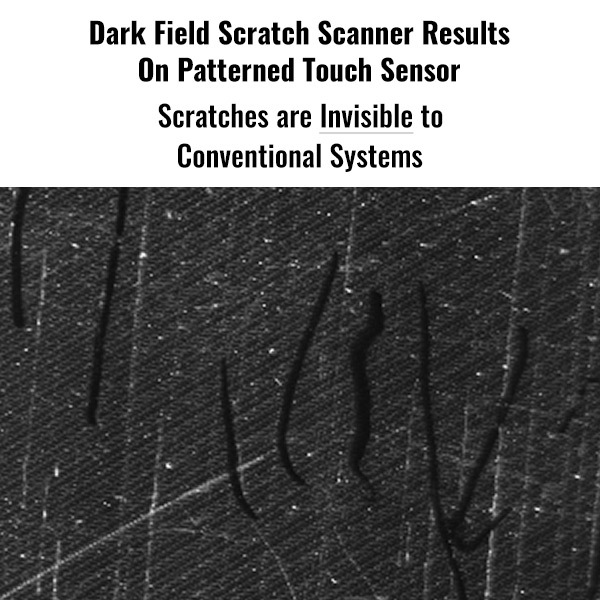 Many systems cannot detect subtle scratches and sleeks. 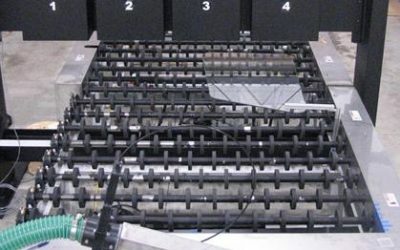 Scratches/Sleeks in the machine-direction (or conveyor direction) are the most common and the most difficult to detect. 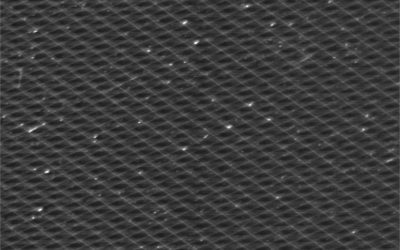 Special optics detect subtle scratches and sleeks. 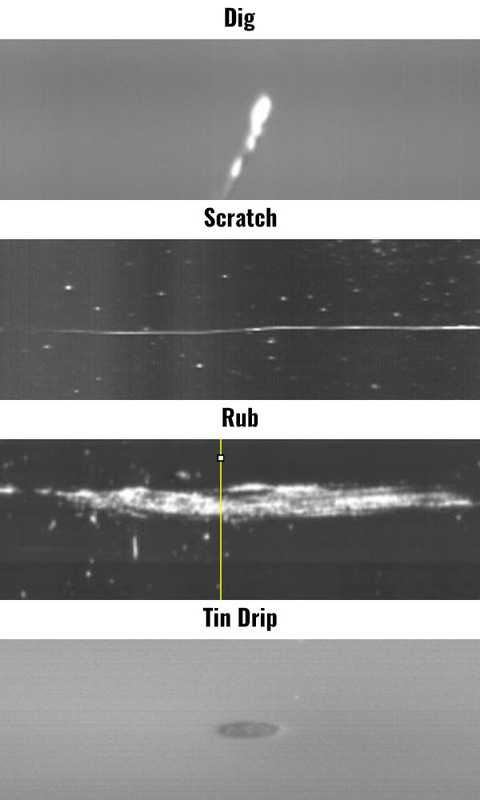 Special processing/software module improves scratch measurement. 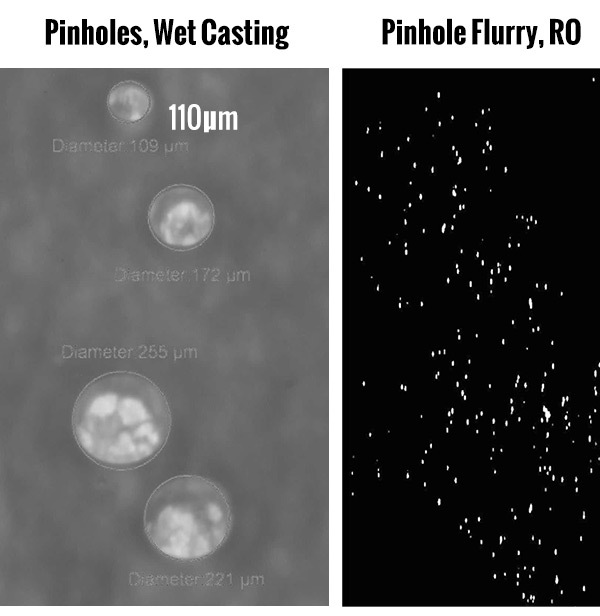 Cell media and coatings can be very light absorbing. 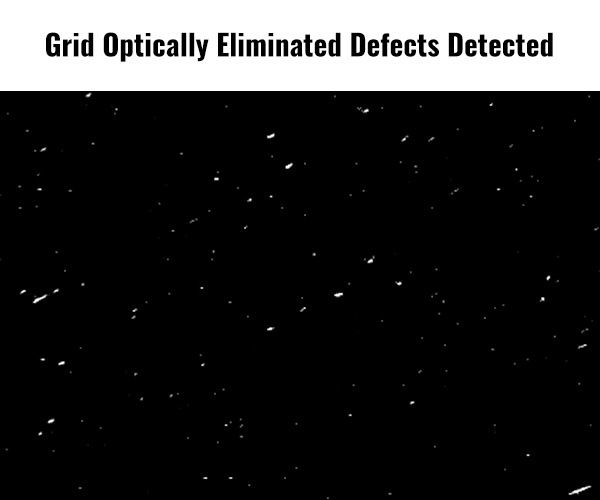 Defect detection requires special optics. 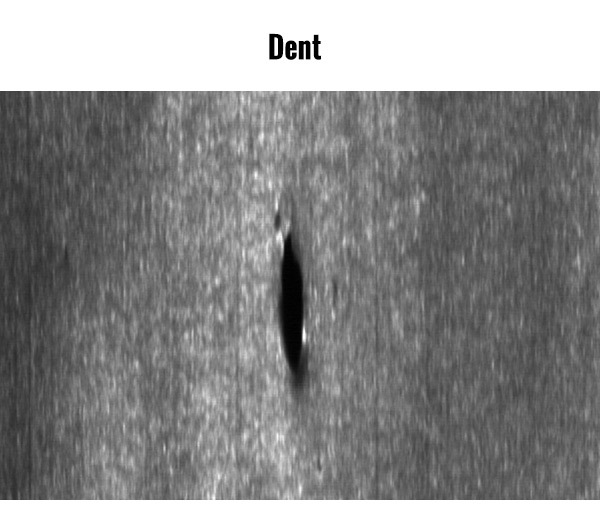 Special optical solution for detection of dents, cracks, surface contamination, imbedded particles. 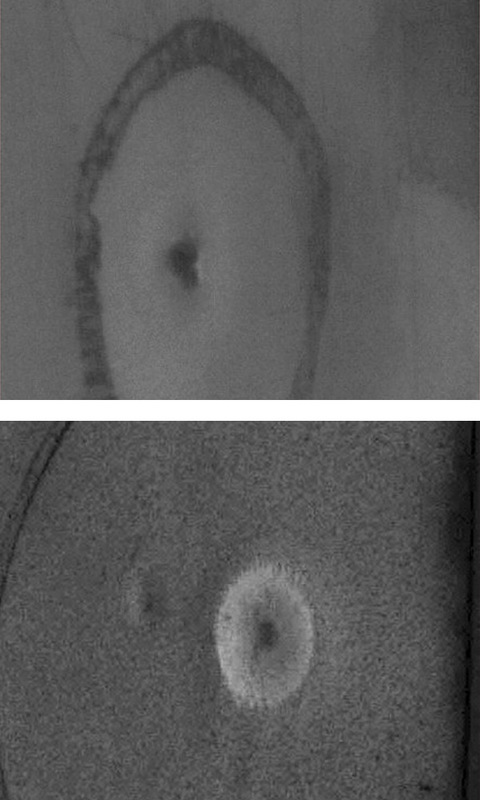 Detection of wet cast membrane, prior to annealing. 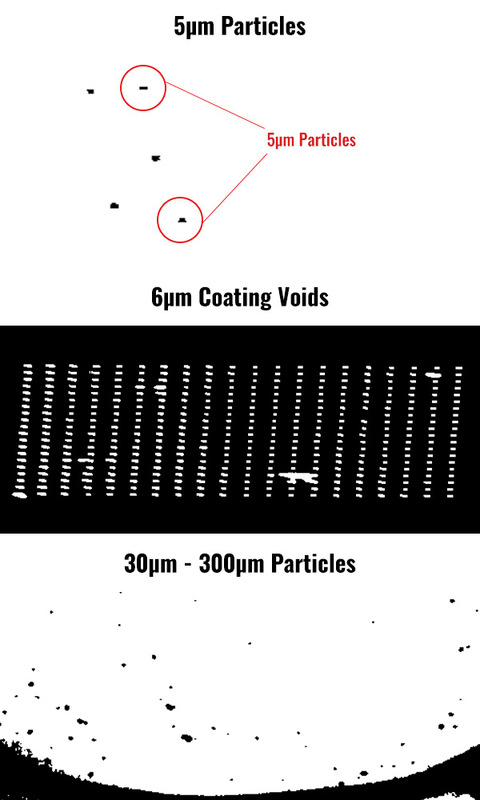 Detection of pinholes in coating prior to annealing. 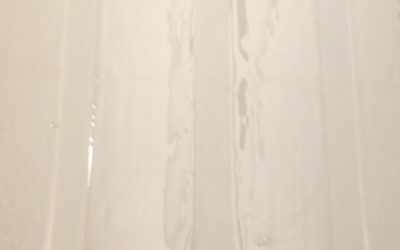 Proven for wet cast membranes, wet coatings and annealed membranes, on-line, 100%. 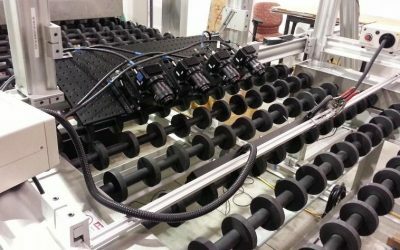 Existing production line: Integration of the inspection system with the existing customer production line. Complete turnkey system – Stand alone: Stand-alone system – off-line and development, including roll unwind, rewind, sheet handling. 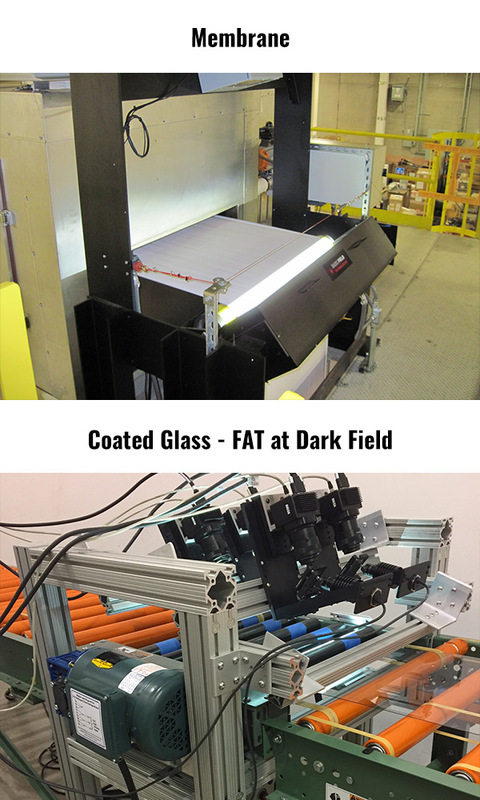 Existing production line: Dark Field provides complete interface and integration services. 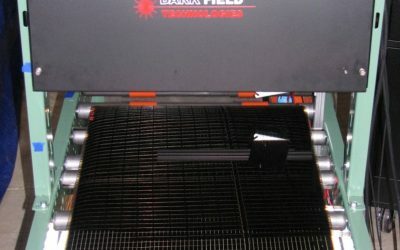 This means mounting the system to the machine frame or the floor. Customers only need to provide mounting holes or anchor bolts and power. 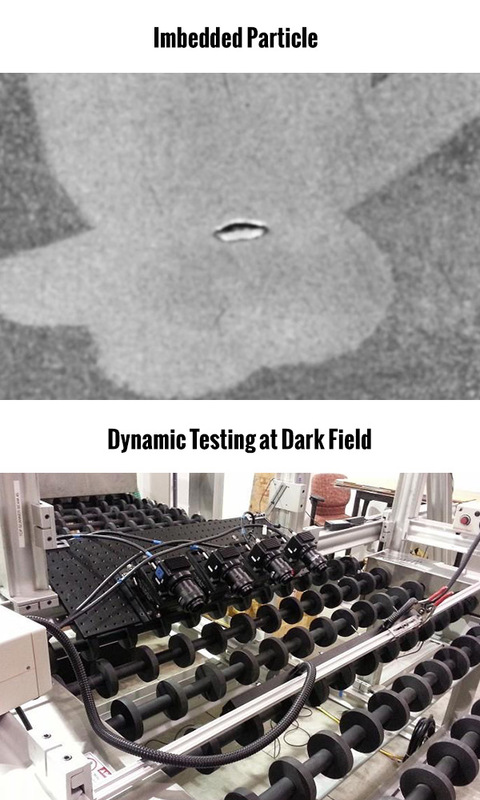 Dark Field does the rest, including I/O and data interfaces. Complete turnkey system – Stand alone: Custom solutions. Systems are full production systems and can be easily modified/upgraded for relocation to the production line. A single razor blade plant can produce billions of blades per year. 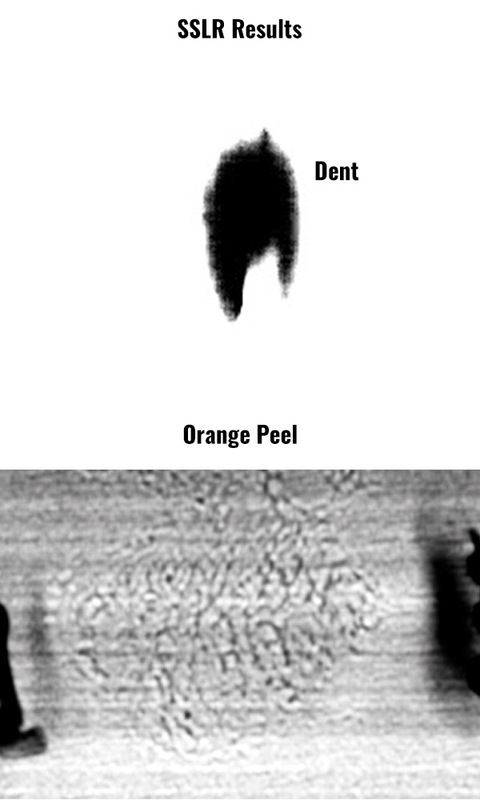 High volumes and small defect sizes make manual inspection impossible. Blades must be inspected in a “rack” or “pin” or “bayonet”. 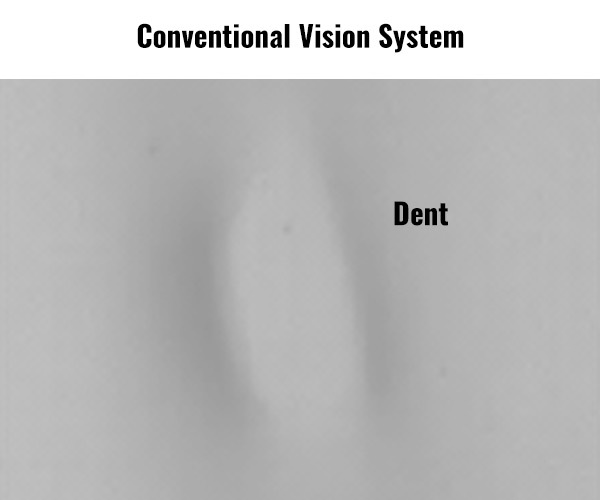 Conventional systems operating in reflection are unstable; require constant adjustment. Hampered by false hits and missed defects. 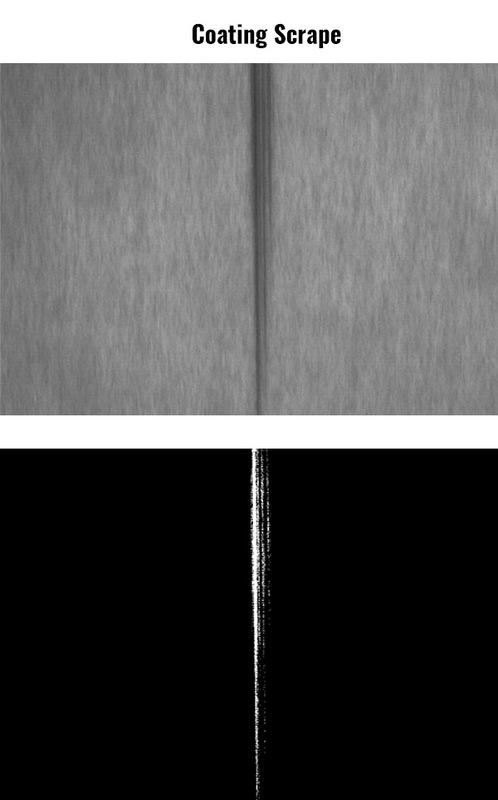 Easily detects key defects on a range of coating types (gloss, satin, matte) and detects critical defects. Only self-aligning system. 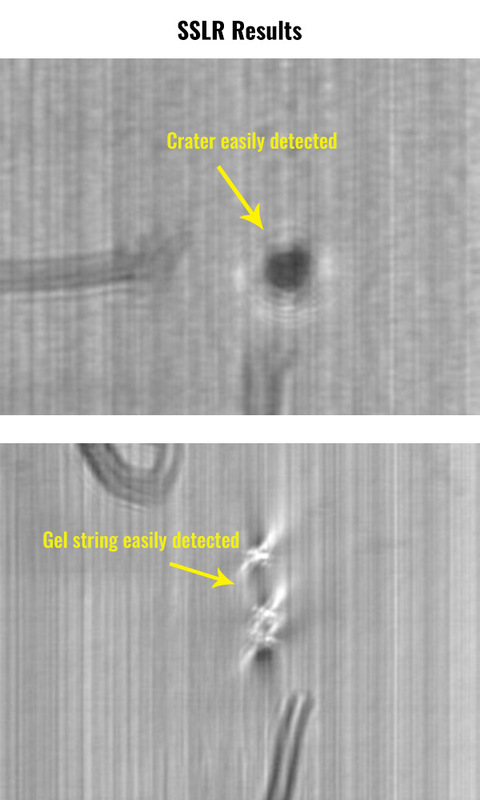 Solves the problems of missed defects and false hits. Smallest installation envelope in the world. 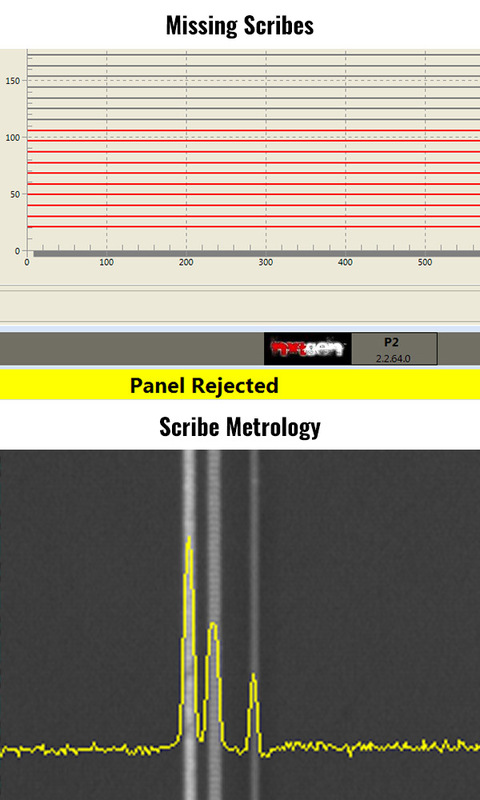 On-line, 100% coating defect detection and scribe metrology. 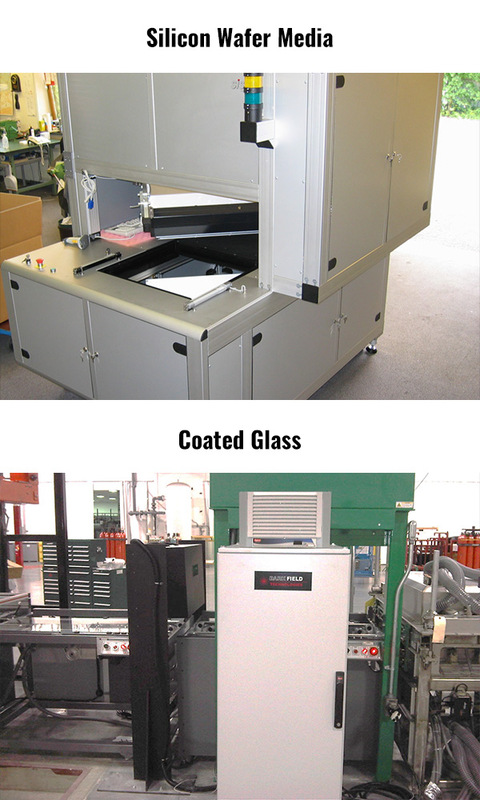 Special scanner technologies for Glass Cleanliness, Coating Defects, Scribe metrology. Dozens of systems in the field; CIGS, CdTe. 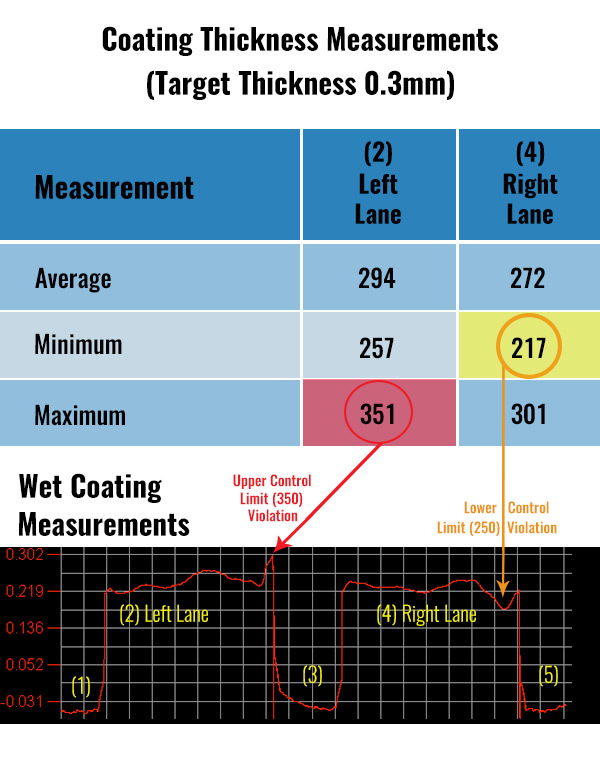 High line speeds (200 m/min) and small critical defect sizes (100μm) make manual inspection impossible. 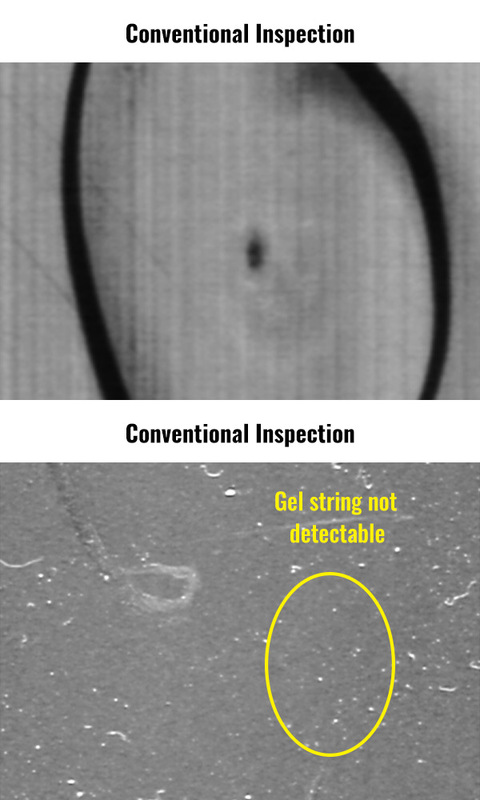 Range of types can defeat conventional inspection systems.